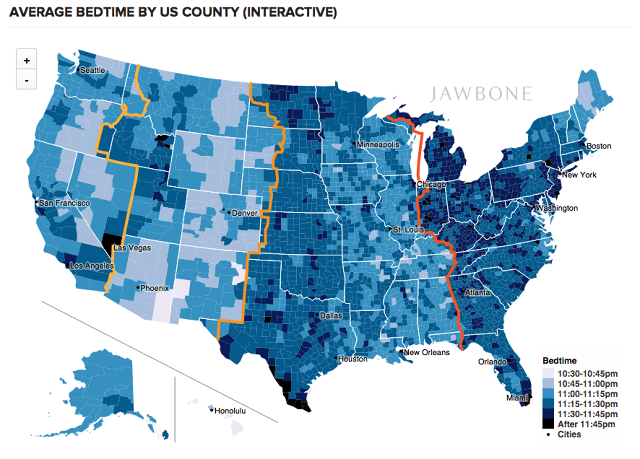 According to the makers of a fitness tracking wristband that measures your sleep, which US city has the latest bedtime? New York never sleeps, does that count? I’ve been to New York and it does sleep, but probably less than any other city I’ve visited. Now, can you tell me what borough in New York goes to bed latest? Or Anchorage Alaska the meth capital of the Americas.